Halloween isn’t just for children this year. 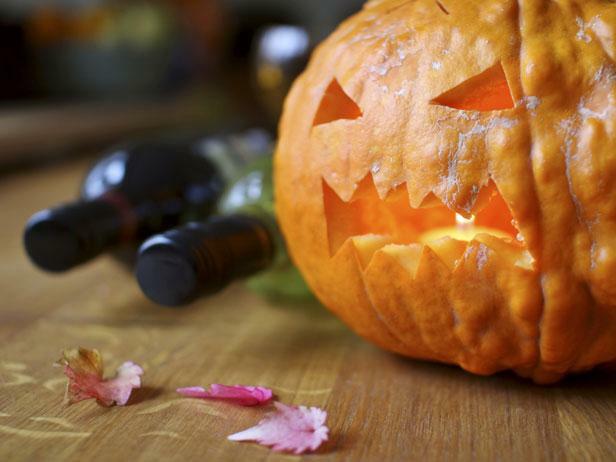 You can get into the Halloween spirit with these delicious wines that share their colors with blood or black sludge, and their scents with favorite Halloween treats. A bright, red-fruit driven wine, with a ripe palate that culminates in a fresh finish. Its soft tannins and elegant body are ideal for someone who would like to deviate from rich reds. A wine this dry is perfect for those who want to take a bite out of an extra dark chocolate bar. Your Halloween party can be elevated this year by featuring this 2016 Cooper and Thief Red Wine Blend. This red wine has been aged in bourbon barrels, which allows the wine to gain slight heat and bourbon flavor. You can place some plastic vampire teeth in the bottom of your party glasses to give the illusion of drinking a glass of warm blood. Want a wine to symbolize ink or sludge this Halloween for your party? Ravenswood Teldeschi Zinfandel 2015 is the perfect Halloween wine for you.The color of this wine isn’t the only Halloween element though. The aromas this wine has are of dark chocolate and licorice, so it’s like you went trick or treating in a wine glass. Enjoy your own trick or treat from your glass this year. This blood-red Ravage 2016 Cabernet Sauvignon has hints of vanilla and mocha flavors. It also has blackberry and plum. Pair this wine with some gummy eyeballs or brains in your glass to really increase your Halloween flair. A biodynamic wine with aromas of dark cherries that create a fresh, yet structured palate. Its bracing acidity complements flavor-packed dishes such as a smoky glazed ham or can go hand in hand with chocolate covered cherries. The Equinox Red Blend wine not only makes a great drink but the bottle doubles as a great decoration for your counter or table this Halloween. The bottle the wine comes in is as black as an eclipse, while the wine is a rich red. If you have some cool skull glasses, serve your wine with those to add an extra Halloween element to your day. Sometimes you just need a white wine to drink. If you’re a fan of the classic butterscotch, then this is the wine for you. Blindfold 2016 has a butterscotch and citrus flavor to it. It is also a blend of several different white wines from Chardonnay to Muscat. Enjoy a glass of Blindfold 2016 wine featured after a classic Halloween candy.